Hello everyone. I hope you are well. I would like to welcome you back to my computer and consumer electronics blog. For a long time, the computer world was quite simple. One could chose between two operating systems: Windows and Apple. They were easy to use and most users got used to them. I recently even wrote an article about it, which one you should use for your business. But today I will show you that there indeed are alternatives, especially one Linux distribution which got very famous among Linux beginners over the past few years. Linux Mint. Even today most people still remain loyal costumers to one of the main operating systems. Due to the lack of alternatives – they think. But that is not the case. Some of the distributions are very user-friendly and easy to use as well. They even seem more familiar to us than the latest versions of well-known operating systems to which we have been accustomed for so long. This is especially true for the Linux version Mint, which was released in its 18th generation in 2016. It is said about Mint, that the use of this system resembles Windows like no other. And that is totally true. I personally tried it and I have to admit it totally convinced me. In my opinion it is perfect for every day use like text processing, surfing the internet, watching videos and so on. It even runs on old, used computers with just a single core. You can buy these very cheaply off http://www.gebraucht-kaufen.at/computer. Linux Mint is a distribution of the open-source operating system Linux. It is based on the popular Ubuntu, which also often is used by Linux beginners. But Mint offers more programs and tools and is slightly different - easier - to use. Above all, Mint is optimized for an easier use of multimedia programs and files. One can say it is a kind of tuned, improved Ubuntu. Linux Mint is legal, free, convenient and comes with a huge software package that contains almost everything for common use. The user experience is very similar to Windows. There are hardly any differences. You still need a little time to get used to it, but you don't have to learn something new from scratch. And the best part: it is totally free. The provided software usually should be sufficient. You don't need any special knowledge. The app store currently contains in total about 64.000 programs and apps. That should be fine. But it actually is more complicated if you do not want to use officially supported programs, so called "foreign package sources", or even Windows programs, which is possible. If you want to use Linux Mint for professional design, it can be a bit tricky. Of course there are open-source alternatives such as GIMP or Inkscape. But nearly all professionals are using the Adobe Creative Suite. But there are some workarounds. For example you can get an old versions off http://www.gebraucht-kaufen.at/adobe-creative-suite and run it on Linux Mint using WINE (originally an acronym for "Wine Is Not an Emulator"). It is a compatibility layer capable of running Windows applications on several Linux distributions including Mint. Just visit the Linux Mint website and go to the downloads section https://linuxmint.com/download.php. They provide four different versions, each in 32 and 64 Bit. 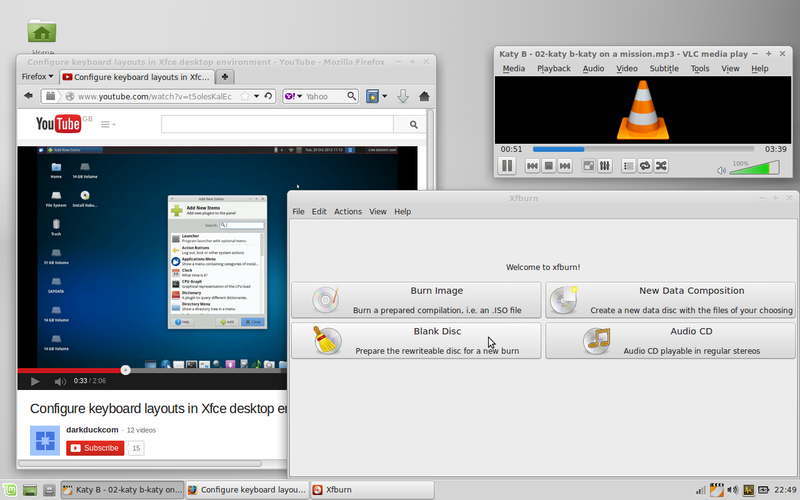 All the versions are using Linux Mint as the basic operating system. The only differences are the provided desktops (interfaces). Just download the ISO-image and burn it onto a DVD. It also contains a Live-Mode, where you can try Mint without touching your computer. That way you can decide yourself if you like it or not. The installation itself is very easy. Linux Mint can even installed along with your current OS like Windows. That is about it for today. For more tips and trick you can check out Gebraucht-Kaufen.at. This website offers great books on Linux and also offers a wide variety of new and second had electronics like computers, tablets, smartphones as well as audio and video equipment and much more.